Can they Already be Finished? Seems like yesterday that your Osprey was an incoming freshman and now, within a few months, they will be graduating and looking towards the next step in their lives. For some it will be graduate school, for some it may be the military and for some, it may be their first job in the “real” world. Whatever it will be, graduation time is a very prideful and exciting time! 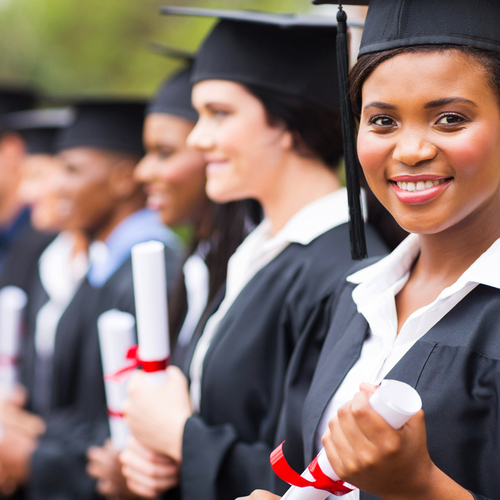 Here are some helpful tips and some guidance to ensure that the time for graduation is the most memorable time and not the most stressful. UNF has three graduations, fall, spring, and summer. Commencement is held in The Arena. This year, spring graduation is April 26, 2019. There will be three graduations that day – 9:00am will be for Brooks College of Health and College of Education & Human Services. 12:30pm will be College of Arts & Sciences (including these majors Art, Biology, Chemistry, Economics, English, Fine Arts, French Studies, History, Interdisciplinary Studies, International Studies, Math, Music, Philosophy, Physics, Practical Philosophy and Applied Ethics, Religious Studies, Spanish, and Statistics) and 4:00pm College of Arts & Sciences (including these majors Anthropology, Communication, Criminal Justice, Political Science, Public Administration, Psychology, Social Work, and Sociology) and College of Computing, Engineering and Construction. Summer graduation is August 2, 2019. You may think six to nine months before graduation is a crazy amount of time to make hotel reservations, however, most local hotels will be sold out for the weekend of graduation so plan ahead. Our hotel blog will give you an up to date and thorough list of hotels in the UNF area. Jacksonville has a large downtown area and St. Augustine is about a 30-minute drive so if you run into an issue with a hotel, you may want to try these areas. Airbnb is another great option when looking for a place for the weekend. You can choose the size accommodation that you need and if an additional family member suddenly decides at the last minute, they want to join you, you won’t be scrambling to find a place for them to stay. When my son graduated from FSU two years ago, I called a local restaurant six months prior to his graduation and felt a bit foolish when I said I wanted to make a reservation six months in advance. The woman said they already had about ten reservations. So, plan early. Colleges typically release graduation dates months in advance and I would highly recommend making a reservation at your favorite tried and true restaurant. Check out our blog on dinner restaurants and breakfast restaurants. These blogs will give you a ton of choices ranging from expensive to moderate. Make sure your phones, cameras, video recorders are fully charged. Many times, parents forget to charge their devices and wind up not capturing that special moment. UNF does offer amazing pictures of your child’s graduation, for more information about this service click here. As I said, this is one of the most enjoyable proud moments in your student’s life; don’t worry about the small things, just enjoy and be present. Just a few other important details about graduation day. If you for any reason you or a family member are not able to get to graduation, UNF offers a live stream so that you can see your child walk across the stage. If your party needs special accommodation at the ceremony because of a visual or hearing disability, please contact the Disability Resource Center, (904) 620-2769 or (904) 620-2969 (TDD/TTY). Guests with limited mobility should find an usher who will direct them to special seating locations. There will be limited wheelchair seating on the floor. There will be handicap accessible buses to shuttle guests to and from the parking lot. Wondering how much your student will need to pay for the cap and gown which is required if they are walking? UNF candidates wear dark blue gowns with tassel colors varying by degree. Master’s and Doctoral degree candidates wear black robes with black tassels. The hood colors vary by field of study. For Bachelor’s (cap and gown) and Master’s (cap, gown, and hood) regalia, you purchase as a bundle. Bachelor’s cost about and Master’s is about. Doctoral Degree you will want to rent because they are custom and it will set you back quite a bit. All doctoral candidates must wear a hood. Graduate candidates will need to first apply for graduation. Once approved, they can order their regalia online. Any information that you made need including cap and gown, ticket information, parking, and handicap parking information, what to expect and so many more answered questions click on UNF graduation page.